Innate or natural immunity is a highly conserved defense mechanism against infection found in all multicellular organisms. The acute phase response is the set of immediate inflammatory responses initiated by pattern recognition molecules. These germ cell-encoded proteins recognize microbial pathogens based on shared molecular structures and induce host responses that localize the spread of infection and enhance systemic resistance to infection. Innate immunity also influences the initiation and type of adaptive immune response by regulating T cell costimulatory activity and antigen presentation by antigen presenting cells and by influencing mediator production, which affects lymphocyte function and trafficking. 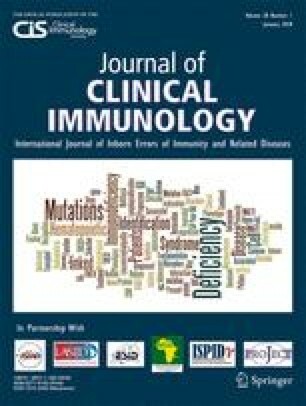 Acute phase protein concentrations rapidly increase after infection, and their production is controlled primarily by IL-6- and IL-1-type cytokines. The acute phase proteins provide enhanced protection against microorganisms and modify inflammatory responses by effects on cell trafficking and mediator release. For example, serum amyloid A has potent leukocyte activating functions including induction of chemotaxis, enhancement of leukocyte adhesion to endothelial cells, and increased phagocytosis. The constellation of inflammatory responses seen after endotoxin administration to humans represents an in vivo model of the acute phase response. Studies with inflammatory modifying agents, such as soluble dimeric TNF receptor and IL-10, show that these responses are not dependent on a single mediator but result from multiple overlapping inflammatory pathways. Understanding the factors that initiate and alter the magnitude and duration of the acute phase response represents an important step in the development of new therapies for infectious and inflammatory diseases.